Performing a snappy powered top turn, on your back hand, is a challenge but only because it requires you to train your body to get into a position that it is not expecting. Commitment is key, trusting that if you do everything correctly you’ll end up pointing back down the wave with the board underneath you. As you can see we are looking for a quick snappy turn but it’s important that we exit the turn, still high on the wave face, with weight forward so we are riding with the wave. We don’t want to be stalling and falling off the back of the wave or end with too much speed and power that we race out in front. Assuming you’ve performed a solid bottom top, focus on these three tips to get your top turn nailed and leave you in control as you exit. Yes, we say this repeatedly in our surfboard tips but here it is so important that if you don’t get low you WON’T make a good turn. You going to go vertically up a steep wave face and then turn the board sharply through more than 180 degrees – straighter legs just won’t cut it! Get as low as you possibility can, you can’t be too low! Another fundamental principle of riding a surfboard, front foot pressure. Here it’s what is going to ensure that board completes a full turn; that the board stays light underneath but still grippy when needed; and importantly, will ensure that when you come out of the turn you are still on the board and balanced over it. Shift your weight forward as you go up the wave face, keeping your hips forward over your front leg throughout the turn. Think of your back foot pivoting around your front foot. You keep your weight forward over your front foot but also commit your upper body weight to the centre of the turn, allowing you to drive out with the back foot. As always having your back foot right at the back of the board will make this far easier whilst you are learning these techniques. Get out there, keep practising and every time your top turn ends in a crash or feels crap (we all know when it wasn’t a good one), think back through what you did and compare it against these three tips. 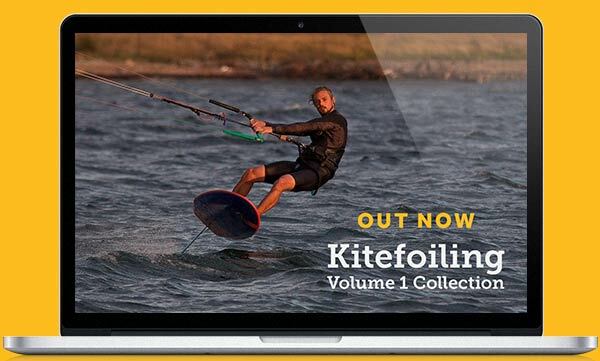 If you want more insight into your Backside riding, check out the full Backside Fundamentals video on the Progression Player App, along with all the videos from our Kitesurfing Volume 1 series. If you have any questions ask away in the comments.